It seems Microsoft just can’t hold its horses when it comes to anything related to Windows 8 -- they’re that excited about the new operating system. Amid claims last week that Windows 8 boosts too fast for mere mortals, Microsoft has made available the latest Windows 8 Release Preview for public download earlier than expected. The latest Windows 8 Release Preview went live in the early hours of the day and is the third such pre-cursor for the final finished operating system slated for launch in the coming months. Microsoft had released Windows 8 Developer Preview back in September last year, followed by the much recent Consumer Preview of Windows 8 launched in February. Microsoft has also tweaked around the nomenclature of these releases. In the case of Windows 7, the two releases preceding the final launch of the product were dubbed “Beta” and “Release Candidate”, respectively. In the case of Windows 8’s timeline, the same releases have been dubbed something else -- what should’ve been “Beta” was “Consumer Preview”, and “Release Candidate” is now simply “Release Preview”. So what enhanced features will the latest Windows 8 Release Preview provide over the past Consumer Preview build? From what Microsoft disclosed, it seems to be the following: users will able to customize the Start menu in greater detail, better multi-monitor support, and various bells and whistles that gives Windows 8 a smarter look. The in-built Windows Store application, which was in a rudimentary phase in the Consumer Preview, has been updated in Windows 8 Release Preview -- it means a greater number of Windows and third-party apps to play with. Only two more steps after Windows 8 Release Preview for purchasing Windows 8 in its final state off store shelves -- after the Release Preview, there will be a Release To Manufacturing or RTM build (which will go to all OEMs like Acer, Dell, Lenovo, HP, etc.) and finally the worldwide retail launch rumoured to be around October later this year. 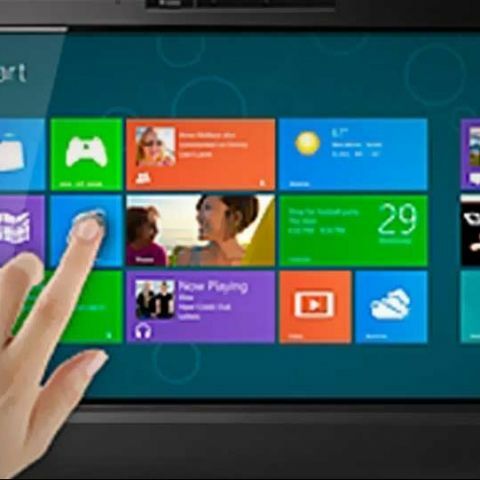 To download Windows 8 Release Preview, click here.